Dunlop SP WinterSport 4D offers exceptional grip in all winter conditions. The WinterSport 4D offers excellent grip, handling and braking in all winter driving conditions (Snow, Ice, wet and Dry Below 7º). The Low Weight Construction provides low Rolling Resistance performance leading to improved fuel consumption. Superb winter handling and grip for high performance cars: Exceptional performance on winter roads, enhanced snow and ice traction, control and grip in wet conditions and fuel efficient design. Directional Tread Design. Designed for those cold wet morning drives, the directional tread design forces the water between the grooves. Water is quickly channeled away from the tyre surface, reducing the risk of aquaplaning.Benefits Reduced risk of aquaplaning. Enhanced snow and ice traction. The unique tread design puts a high number of biting edges in contact with the road, giving you enhanced traction on snow and ice. Deep snow notches grab onto the surface, adding extra grip when accelerating, braking and hill climbing. Exceptional performance on winter roads. The SP Winter Sport 4D provides exceptional winter handling and braking ability for high performance cars. Combining a unique tread design with high grip materials, it is designed to deliver optimal control on snow, ice, wet and dry surfaces. Control and grip in wet conditions. For days when roads are wet or thawing, the SP Winter Sport 4D features directional grooves designed to evacuate water quickly and prevent aquaplaning. The high grip compound is optimised to deliver shorter braking distances on wet roads. Fuel efficient design. With its lightweight construction and materials, the SP Winter Sport 4D requires less energy to roll – which means lower fuel costs and CO2 emissions from your journeys. 4D Sipe System. The 4D Sipe system sees the tread separated into a number of blocks that increase friction and stability during cornering. The system delivers superb lateral grip in snow.Benefits Superb cornering, even in snow. Multi Blade System. Winter driving conditions can vary greatly. From cold and dry to snow or sleet, these conditions make very high demands on a tyre. Dunlop’s multiple blade system meets this challenge head on, with different types of blades for varying winter road conditions. Benefits Consistent performance in various winter conditions. Functional Polymers. Functional Polymers in the tread compound produce enhanced performance characteristics at low temperatures, improving road adhesion when winter temperatures plummet.Benefits Exceptional grip at low temperatures. Tread/block road rumble. “Airpumping” also known as “groove resonance” , where the grooves are compressed and then released again. (Structural) Vibrations of the tyre/carcass. One of the biggest noise sources, is the so-called Cavity Resonance which is transmitted into the car as body noise because of the axle construction. Once the tyre has been heated, a foam strip is fitted to the inner liner. This reduces tyre (carcass) noise considerably. 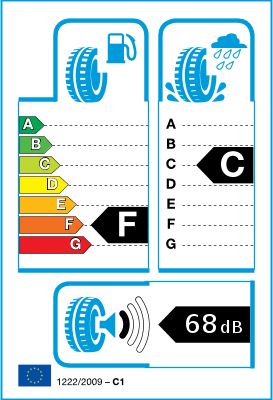 Reduction of interior car noise by a number of dB, to half of the tyre noise. Currently available in Summer and Winter, also as All Season and ROF later. Sounds are transmitted by 2 main mechanisms: By air movement (Air resonance): The air molecules are stimulated to vibrate (wave form). By structural resonance (Body resonance): Vibrations are transmitted by the vehicle structure. 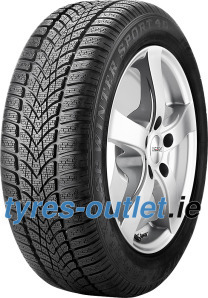 A large part of inerior car noise is due to resonance caused by vibration of the tyres. This is transmitted to the inside of the car via the structure (body resonance). Counter measures taken at noise source, in this case, at the tyre, are easier and more effective than they would be at other car components, e.g. at the drive train or the body. How can the vibrations in the tyres be reduced? Fitting a foam strip to the inner liner of the tyre helps to markedly reduce the tyre (carcass) noise. Reduced resonance in peak range by up to 11dB(A) This makes a reduction of interior car noise of up to 3 - 4dB(A), possible. This means that it is only half as loud in the car as it would have been with normal tyres.